Deeply hydrating lip treatment that is made with natural extracts to lighten and repair dry and distressed lips. 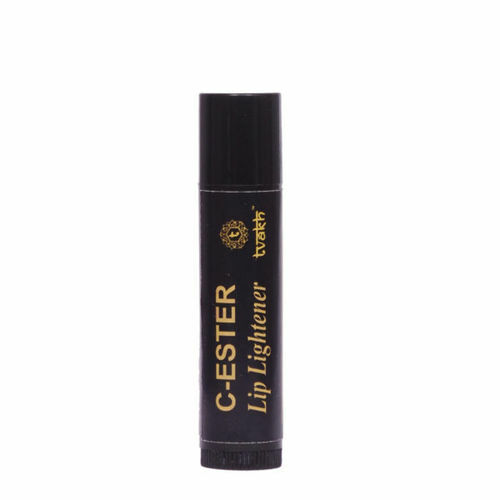 Made with Fat-soluble Vitamin C and Pure Licorice extracts that help lighten the dark lip corners. With SPF action and Cold pressed Oils that moisturizes, protects, and smooths the lips delivering delectable and dependable moisture. Additional Information: With a promise to make you love yourself a little more than yesterday, Tvakh brings to you an arena of purely Herbal, Hand-crafted, safe and natural skin care, body care, hair care and spa care products that do as much good to your face as the Earth! Novel in thought and simple on strategy, it's a brand that you count on. Tvakh is trusted for formulating product s that are 100% free from synthetic ingredients - (No Parabens, No Petrochemicals, No Phthalates, No GMO).These products across the range are cruelty-free, laboratory tested and eco-certified.